Presented by Dave Ansell, Ginny Smith. 00:46 - What Lit Up The Universe? You might think that space is pretty dark, but in fact it's bathed with light from all kinds of sources - from stars like our sun and other more exotic celestial objects such as quasars. Quasars are distant objects powered by black holes a billion times as massive as our sun. 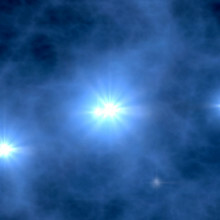 These powerful dynamos have fascinated and perplexed astronomers since their discovery half a century ago. Now, a team of space scientists, led by researchers at University College London, have published a paper predicting how to study this light from objects billions of light years away, giving us a view back in time to the early universe. Kat Arney spoke to lead researcher cosmologist Dr Andrew Pontzen to find out more about the work, and why it's so important to map out the light in the universe. Andrew - What we're trying to understand is the way that light is distributed through the universe, which sounds like kind of odd thing to be a problem because of course, we use light all the time. To learn about the universe, we see light, that's what we're picking up with our telescopes when we look at the universe. But this whole other side of light which is, that it's transporting a lot of energy around in the universe, in the same way say, the biosphere here on Earth is powered by light coming from the sun. The universe is kind of powered by light generated in stars, in galaxies, in more exotic things like quasars. So the question is really, how much of that energy is being generated in total and where is it coming from because it's not necessarily stuff we can see directly. When we start trying to find out what's lighting up the universe, we are measuring it in a limited patch. Although, when I say limited, we are talking about millions of light years across. So, these are extremely large scales nonetheless. Kat - So basically, in this study, what were you trying to do? Andrew - We're trying to make predictions or we call them 'forecasts' for what we're going to learn from future studies and in particular, from one particular study called the dark energy spectroscopic instrument or DESI for short, which will come online in, we think, 2018. And we're making predictions for what that can tell us about what's generating the energy or most light in the universe. What this telescope is actually going to be measuring is light coming from quasars. They're incredibly bright sources and they're actually made by gas sort of spiralling into a black hole. And though you might think a black hole is dark, it's as the gas is falling in, that it generates a lot of light. And then we're using that light to tell us something about what's in the universe, what's in between that very bright, actually, very distant light and us. That kind of changes the light as the light comes through the universe. It picks up information about what's in between. Kat - It's almost like seeing a very, very distant lighthouse and looking at the shadows and the things that are in the way in between that and you. Andrew - It's exactly like that, yeah. Kat - And I guess, does that tell you a bit about the sorts of things you should be looking out for when you do get the data from this telescope. Andrew - Yes. It tells us about how should we process the data coming from this telescope to really get everything. One of the big things that's changing in astronomy is, it's no longer about one person going up a mountain and taking a picture of one object. We now get catalogues of millions of objects and then we have to work out how do you piece together all that massive amount of data. What this work is really about, is showing if you process that data in the right way then you're going to get this handle on what's generating all the energy in the universe. Kat - So, what do we know about some of the light sources in the universe and what are you trying to find out about them? Andrew - Well, we know about the brightest light sources in the universe. If you're flying on a clear night and you look down at the Earth below then what will immediately be quite obvious to you is, if there's a big city underneath, you'll see a bright glow coming from that city. But it might be that actually, there are a lot of towns surrounding the city or reaching far out into the countryside which themselves, they only have a few lights, only a few streetlights per town. So, they appear much dimmer than the city does. But on the other hand, there are many, many more towns than there are cities. So, if you're able to get a really good bird's eye view of this, you might be able to tell actually there's more light in total being generated by these many, many tiny towns compared to maybe just one big city. Kat - And if light is energy then that could actually be a much more important energy source in the universe. Andrew - Exactly. So, the universe doesn't care where its light is coming from and it may be that these tiny towns or, as they actually are in the universe, very small galaxies are generating huge amounts of energy. We just don't see it directly because we tend to just pick out the big cities, or in the universe, it's known as quasars or really large galaxies. Kat - Does it kind of blow your mind, thinking that you're studying something that is so far away? Andrew - Yeah. When you're researching this stuff, you tend to kind of pull these two things apart a bit because it turns out, you can analyse all this with maths and it all goes into bits and numbers on scraps of paper, on computers and so on. But then occasionally, you do just stop and think, "Wow! We're talking about - as you're saying - thousands of millions of light years across." Those really are just massive scales and it's amazing that we have technology now that can actually start to tell us about those kind of scales. Kat - When you look up at the night sky, you're thinking, out there somewhere is a quasar that they can look at with my telescope. Andrew - Absolutely. In fact, if anything, you look up at the night sky now and you think, "This is all small fry." I mean, the universe is so much bigger than what we can see unaided. Dave - Kat Arney, speaking to Dr. Andrew Pontzen from the University College London. How common is depression in cancer and is it affected by the type of cancer diagnosis? Being diagnosed with cancer has a huge impact on people's lives, so it's no surprise that sufferers are more likely than the general population to develop major clinical depression. Until now, however, we haven't known just how likely it is, and whether the type of cancer has an effect. In a series of 3 papers published this week in the Lancet, Michael Sharpe from Oxford University investigated spoke to Ginny Smith about this issue, to see whether interventions could improve depressive symptoms. Michael - Well first of all, we have to be clear what we mean by depression and that word is used very imprecisely. If we're talking about sadness or general distress, this causes a very high rate. But here, we're focusing on - as you say - clinical depression. 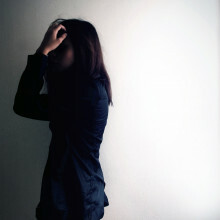 Depression that is debilitating, that a psychiatrist would say needs treatment. If we focus on that, we find that it varies with the type of cancer. So, some cancers like lung cancer, it's about 13% of patients and it goes down slightly in rate through breast, colorectal, and in the genitourinary cancers like prostate cancer, it's about 5%. But if we are talking about a population point prevalence of about 2%, as you can see, all those cancer types have elevated rates of major depression. Ginny - And do we all know what's different about the different kinds of cancer that might mean you're more likely to get depression if you've got one type? Michael - That's a very good question. I mean, the obvious one is that lung cancer, as people may know is, one of the cancers that we haven't made much progress in cancer treatments. So, the life expectancy for lung cancer is poor. Only about 13% of patients live more than 5 years. So clearly, if in so far as the depression is determined by the awfulness of your cancer, it's perhaps not surprising that lung cancer has a higher rate. Of course, there may be other biological mechanisms as well that we don't well understand. Ginny - And yet, not everyone with lung cancer will develop depression. So, do we know what other factors make it more likely that you will go on to have depression? Michael - Yes. In our analysis here, we found that depression was more likely in younger patients, in female patients, and in people living in areas which regardless having higher social deprivation, we didn't measure it in this study, but other studies have found - perhaps not surprisingly - a previous history of depression, a marker of vulnerability if you like, also makes you more likely to become depressed. Ginny - Now, some of those things are markers to depression on their own, living in poorer areas and that sort of thing, we know makes you more likely to get depression. Is there a kind of interaction going on there? Michael - Yes, I think that's right. It would be surprising if the risk factors for depression with cancer were completely different from those for the risk factors for depression in general. And of course, as you say, many of those are similar. But clearly, with cancer, we've moved the prevalence rates up 2 or 3 times from the general population. So, the whole thing about having cancer is adding something to those risk factors. Ginny - Now, you were also looking at treatments and how you might be able to help these people. What kind of treatments are currently on offer alongside the kind of traditional cancer treatments to help people mentally? Michael - Well, the standard treatments that of course any of us would get for depression would include seeing your GP who might prescribe an anti-depressant drug, seeing a counsellor or a psychologist who might give you some psychological treatment and people with cancer have those kind of treatments available to them. But what we found is that despite that availability, 75% of patients with major depression in our study were not receiving what we deemed an adequate treatment. Ginny - That's shocking. What can we do to lower that percentage? Michael - I think it's a complex situation and there are many reasons why effective treatment doesn't happen. So, what we've done is built an intervention, a package if you like, which tries to address the main problems that prevent people getting treatment. So, there's first of all, identifying who's depressed, there's educating the patient what depression is, there's making sure they get treatment and we've offered patients both anti-depressants and psychological treatment. I think most importantly, we've integrated the treatment of depression with our cancer care, so they don't have to become a mental health patient. They don't have to go to a different service or a different trust. It's part of their cancer treatment. Ginny - So, I imagine that makes it logistically easier for the patient, but also somehow, alleviates some of the perhaps stigma around getting treated for depression. Michael - I think that both those things are absolutely right. I think it's very important to be aware we have to - this treatment, the most face to face contact was given by cancer nurses and they had to spend quite a lot of time with the patients, helping them understand what depression was and that depression could be treated and how it could be treated. And so that, if you just tell people they are depressed and ask them to go often do things, most of them don't. Ginny - And how effective was your new integrated method of treatment? Michael - So, just following on this conversation then, so we've said that all these things were available to people and what we found - perhaps the most surprising finding - is if you tell the patient they've got depression, and you tell their doctors they've got depression and you encourage everybody to do something about it, the outcome is really very poor. So, 6 months after that, only 17% of patients having usual care have a major improvement in their depression. With our integrated package, which there's no wonder treatments in here, it's taking all the treatments we know about, but packaging them effectively, that goes right up to 62%. Ginny - That's a big jump, but does it work just as well for all the types of cancer you looked at? Michael - Yes. If you look at a subgroup analysis, none of the factors such as gender, age, or cancer type have any major effect on the treatment size, that's right. Ginny - How long do you think this will be before it's rolled out to all cancer patients? Michael - Well, implementation is always a challenge in medical research. We have the phenomena, it's referred to in the states of bench to bookshelf, and a lot of findings just stay in a journal. I am hopeful that the findings here, the treatment size is so large, the cost of the treatment is relatively modest in a cancer context, about 600 pounds, that we will start to see implementation, and we are in discussion with some cancer centres, both in the UK and in United States. Scientists can now spot the signs of dementia a lot earlier than ever before by using your eyes. Li - What we have found is that patients, even before they exhibit any symptoms neurologically, their eyes already show degeneration. Hannah - And how did you measure that the eye was getting worse? Li - So, this is an instrument that utilises the scattering of the light to measure the thickness of the retina. This kind of non-invasive instrument could very sensitively detect how many nerves are remaining in their eye. Hannah - How did you carry out this research? Was it on animals or people? Li - This is a study that combines looking at human patients but also using lab animals to modelling this disease. This disease is caused by a mutation. And so, we have generated lab animals that carry this mutation to model the disease. Also, we have used cells that models a disease. So, we have combined to model the disease. And because each system has their own advantages that allow us to get to the bottom of the cause of the disease. Hannah - You said that this could be linked to dementia. What does dementia actually do to a person? Li - So, there are different types of dementia and many of you may have heard of Alzheimer's disease. That is, dementia is the main symptom of memory loss. The dementia that I'm talking about that's caused by this mutation, the patients do not usually have memory, but they have a problem that could be even more devastating because they would exhibit a very different type of personality, a change of personality, a loss of social connection with their loved ones. A lot of them also have language problems. This is a different type of dementia, but nevertheless very devastating. Hannah - And were you surprised by what you found? Li - We're very surprised by how early the changes in the eyes are. We are monitoring these group of patients because it carries its mutation. So, we know they will eventually develop this devastating disease. However, a lot of them actually currently do not have any neurological symptoms. But when we look at their eyes, we found their eyes already degenerating. So, this is quite surprising. We have also seen similar phenomena in our animal models that we have developed. So, we think this is not only early, but also allows us to monitor non-invasively, how a treatment could do to a patient if we're ever to develop such a treatment. Hannah - And how early are we talking here? Li - In the patients that we have looked at, they have the mutations we know they eventually will develop disease that they do not yet have. So, it's hard to predict how much early we could detect. We just know that we can detect prior to the neurological symptom. Hannah - What's the next step with this research? where do we go from here? Li - So, we really want to go to the bottom of the question, why do neurons in the eye degenerate? Why do the neurons in the brain degenerate? 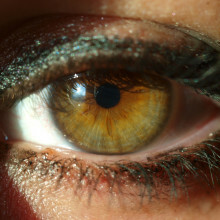 Why do neurons in the eye degenerate first? That's the reason we used animal models and use cellular models to model the disease. What we found, one of the very important protein and nucleus is lost. If we enhance the levels of this protein in the nucleus, we are able to actually - at least in a dish - to prevent the loss of the neurons. So, we think this is a beginning to try to find drugs or treatment to stop the degeneration of these neurons. Once we have that, we could look at the patient's eyes, non-invasively, to see if the treatment is actually doing what is supposed to do. Bird brained? In an experiment, both humans and pigeons were shown to assess risk in the same way. Elliot - So, we were particularly interested in the ways that both people and pigeons learn about rewards and risks from their own experiences. So, when we were looking at when they're learning from experience, we thought that we would take away the verbal component and the calculating ability of humans, and look at whether when we have them learn from a series of experiences. We might actually see similarities that you don't tend to see when you ask people much more explicitly about what they're actually going to do. Ginny - So, how did you do that? Elliot - So, what we did is we try to design an experiment that had the same sorts of structure for both the people and the birds. So for the people, we had them play a little computer game where they sat down at a screen and they clicked at various different coloured doors which hidden behind the doors were different rewards. And it would be revealed when they opened it. So, the only experience they had was when they clicked on the door, what was behind it. We didn't tell them anything about what to expect, what the odds were, what they could possibly get. We did something structurally similar for the pigeons. So we had the pigeons play, what was more similar to them or more like a forging game for them. So, what they did is they went into a room and we had various objects and hidden behind the different coloured objects were different amounts of food, different little bowls containing food. The pigeons similarly had to go into this environment and from their own experience, find out what was hidden behind the different objects and then choose between them. To assess their gambling tendencies and their risk seeking, what we did is we had both the people and the pigeons pick between a safe option, which always gave them the same amount of points in the case of humans or food in the case of the birds, against the risky option, which gave them a 50/50 chance of either getting more, a bigger reward or a smaller reward. And so, that's how we tried to design the experiment so that both the birds and the people only had the same same types of experiences. So, we can actually make them a little bit more equivalent and look at whether both the people and the birds learned in similar ways and then assess the risk in similar ways and then gambled in similar ways. Ginny - And what did you find? Did you find that people were better at learning than pigeons? That's kind of what I would imagine. Elliot - We thought so too, but we didn't find that. We found that both of them, in these situations, when you take away the verbal instructions and you take away the descriptions that people tend to rely on and all you give them is the raw experience from them to draw on, both species learned fairly similarly in terms of speed and their choices were actually remarkably similar in that, we had them play various variations of the game, some were higher stakes, some were lower stakes. And the main thing we found was that in the higher stakes games when they learn from experience, both the people and the pigeons gambled about 35% more often than they did in the lower stakes games when they were learning from their experience this way. Ginny - So, you're more likely to take a risk on getting a worse chance if the reward is bigger whereas, if it's only a little bit of a reward, you're not going to take much risk. That kind of makes sense. Elliot - That's right. So, that's what they did. When they had the potential, of getting a higher reward they gambled. The way it was set up was that the safe option was always about equal to the average of the outcomes on the - so the safe option was better for the higher rewards than for the lower rewards. So, they were also foregoing something better to get at the high rewards and yet nonetheless, they were still willing to gamble in those situations. Ginny - So rationally, you should've gone for the safe option and yet, we take a risk when there might be a higher reward. What can that tell us about the evolution of our brains that both we and pigeons who we haven't shared a common ancestor with for a really long time, make the same decision? Elliot - So, there's a couple of things it might suggest. One, is the possibility is that this is really primitive in a sense that this is something that we share with many other animals that existed 300 million years ago, precursor ancestor to both the pigeons and us. And that our behaviour reflects that. So, that's one possibility. The other possibility is that maybe we share common evolutionary pressures and that the acts that we have to undergo and the things we need to do in order to avoid predators or gather food are sufficiently similar, that these sorts of basic biases are really, really effective. Learning in this way and behaving in this way is something that's a very useful thing and therefore, many, many species have evolved it multiple times. We can't really distinguish those based on what we have found, but there's two different ways that you might want to think about the similarities. 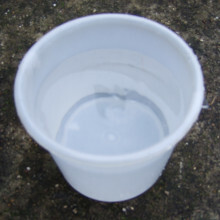 People are pouring ice cold buckets of water over themselves in aid of ALS, a form of motor neurone disease - but what is it? Georgia - ALS stands for amyotrophic lateral sclerosis and is a form of motor neurone disease. Hannah - The disease affects nerve cells in the brain and spine. Specifically motor neurons that control voluntary movements. Georgia - These neurones degrade and die over time so they cannot transmit messages from the brain to the muscles. Hannah - As muscles stop receiving messages, they begin to shrink and waste away, which is called muscle atrophy. Georgia - Symptoms include weak, stiff muscles and difficulty speaking, swallowing and breathing. Hannah - While treatments can aim to delay nerve degradation and improve quality of life, there's yet no known cure for ALS, and life expectancy is usually 5 to 10 years after diagnosis. Georgia - While classed as a rare disease, ALS can affect around 1 in every 50,000 people. Hannah - One in ten cases are genetic, caused by mutations and passed on in families. The other 90% don't seem to have any known cause, although head trauma, contact sport and drug use have been suggested. Georgia - The ice bucket challenge has raised over 60 million pounds so far for the ALS Association Charity, with many people donating to UK-based motor neurone disease charities as well. 26:08 - What is Nuclear Fusion? 30:00 - Do We Need Nuclear Fusion? Mitchell - Well, of course, the biggest positive for fusion power is that unlike coal or natural gas, it does not produce any greenhouse gases, no carbon dioxide. It's not burning anything, at least not in the conventional sense. So, it's carbon free and good for the climate. Coal of course is by far the dirtiest fuel in that sense. Natural gas is somewhat better, but still, does produce quite a bit of carbon dioxide. And if you're running an industrial society, if you're running factories, if you're running cities or for that matter, if you run electric cars, you need reliable power 24/7, whereas wind and solar cannot give you that. They're valuable sources, but they cannot provide what is called base load power. Fusion can do that, in principle. Hannah - Is it safe as other, say for example, wind power, we just need it to be a bit windy or solar power, it's just got to be sunny, is this a safe method? 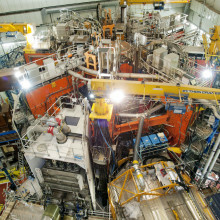 Mitchell - Fusion power cannot blow up like an atomic bomb. It cannot meltdown. It can't do any of the things that we worry about with nuclear fusion power, which is a very different kind of process. Fusion power will produce a relatively small amount of radioactivity a lot of the energy comes out in the form of neutrons, which makes the walls of the reactor radioactive. That does create a waste disposal problem, but this nuclear waste, those radioactive waste, is not nearly as big a problem as the kinds of waste you get in nuclear fission because the radioactivity decays relatively rapidly within a century or two and would be completely safe to handle. Contrast that with the spent nuclear fuel which will be dangerous for something like 20,000-30,000 years. So in that sense, it is safe comparatively - be careful to what you compare it to. Coal, which of course, is very, very common, as the most common fuel that is currently in use. The mining of coal is quite dangerous in terms of the health problems it creates in miners, in terms of the environmental problems it produces around the coal mines, and by the way, coal itself contains a certain amount of natural radioactivity - its actually more radioactive than certain types of radioactivity produced in the nuclear fuel cycle. Hannah - So, you mentioned earlier that renewables weren't as efficient as we need them to be and fission is a bit too unsafe for us to go on. But fusion, we've not yet had a positive power output. So, which one of these options is most viable if any of them? Mitchell - Nuclear fission has its problems, but there are advanced designs that are much safer than the ones we've been using for 30 and 40 years. There are designs that physically could not meltdown. There are designs that could in principle, burn up nuclear waste instead of making more of it. There's a lot of research, but right now, there are commercial nuclear reactors running right now and that for the most part have operated safely. One of the problems that happened at the Fukoshima reactor in Japan, was that it was an old design. It was designed dating from the 1970s and didn't incorporate a lot of the safety features that other most modern designs now incorporate. So, fission is quite viable. Wind and solar of course are quite viable. It's simply that you can't always rely on them to produce power in a steady fashion. Again, people are working on that - if you could store the power in gigantic batteries, that would solve that problem, but the problem is that nobody knows how to do that yet. Hannah - So, as demand for energy increases, do we actually need nuclear fusion? Mitchell - I would say it is a long term solution, because remember as the developing world - China, India, Brazil - all these countries which are fast entering the modern world and improving their economies and creating a middle class people who want to run their computers and their washing machines, so forth, they need huge amounts of power. Right now, China is meeting most of those needs by building lots and lots of coal-fired power plants and creating huge amounts of carbon dioxide, not to mention ordinary pollution. If everybody in the world were to aspire to a typical British or American middle class lifestyle, and they did it by burning coal, we would have hideous pollution. We would greatly accelerate the emission of carbon dioxide and accelerate climate change and we would be in real trouble. Sarah - Fusion happens in the sun and that means it's very difficult to do it here on Earth because the sun is a huge ball of burning gas and we're one little planet, trying to do it here. So, in fusion research, we're trying to recreate that process here on Earth. We're going to fuse hydrogen together to produce helium and release lots of energy so that one day, we can generate electricity from that fusion reaction. To do that here on Earth, you need to heat them at such a high temperature that they turn into something called a plasma which is basically - you can think of it like a very hot gas where the electrons are separated from the nuclei. Dave - So, why do you need it to get it so hot? Sarah - It needs to be so hot because of the fact that fusion is very difficult to do. If you go about to thinking about an atom, an atom has a nucleus in the centre and electrons on the outside. So electrons are negatively charged and nuclei are positively charged. So, if you've got one nucleus, and you bring it close to another nucleus, those are both positively charged particles. And so, because they're both positively charged that you've heard of opposites attract like things repel, well basically, the two positive charges repel each other. So, to get them close enough in order that they want to actually fuse together, you need to give them a lot of energy, so you need to heat up the whole plasma to actually get the nuclei close enough for fusion to happen. Dave - So, you basically got to throw these particles together, hard enough that they can't bounce off and actually stick together. Sarah - That's exactly it, yeah. You want them to not bounce off each other. Not repel but actually stick together and fuse and release energy. Dave - So, how do you go about basically confining a bit of the sun in a large metal box just behind us? Sarah - So, when you separate the electrons from the nuclei, it means that this plasma which consists of the electrons and nuclei are going to have to be controlled by magnets because charged particles do react to magnets. They can actually control them and move them. 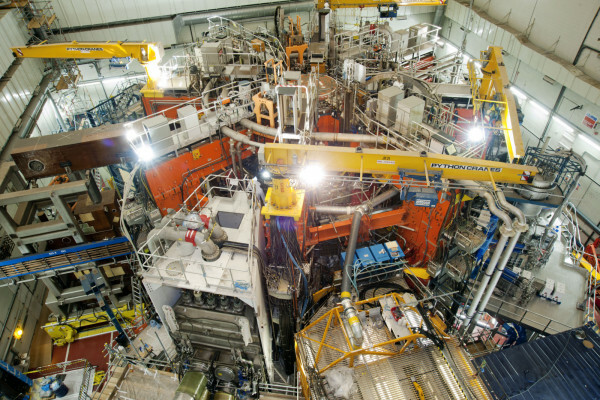 So basically, we have the plasma inside the fusion reactor the tokamak and we use huge magnets to control it and keep it away from the metal walls. Dave - So, the charged particles essentially get trapped by a magnetic field and will follow that magnetic field. So, what actually does the JET machine behind this look like inside? Sarah - So, at the heart of JET is a doughnut-shaped chamber. JET actually stands for Joint European Torus and torus is basically the scientific name for doughnut. Inside the torus is where we put the plasma. 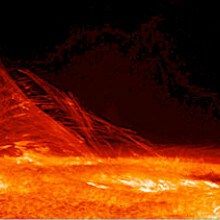 So, we start off just by puffing some gas inside the chamber and then we pass a huge current through it which turns into a plasma and then we apply lots of different heating methods to heat up the plasma to actually 150 million degrees C which is 10 times hotter than the core of the sun. Dave - That's really, really hot. Why do you actually need it to get hotter than the centre of the sun? Sarah - It's because of size. 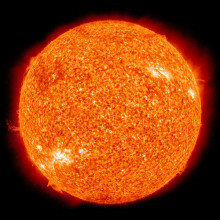 Basically, the sun is so big, if you've got sort of hot plasma inside the sun, the heat can say, contained in the sun. You think of it like, if you've got, say, a bathtub of hot water and you've got a small cup of hot water, the bathtub will retain its heat for longer than the small cup of hot water. So, if you think of the sun as being like the bathtub, the heat will stay inside longer whereas here on Earth, the JET Tokamak is like the small cup of water, so it loses its heat quickly, so it has to be hotter to begin with. Dave - So, how actually do you heat up the plasma to this incredibly high temperature? Sarah - So, there's a few different methods we use. The first method is called is ohmic heating and what that means basically is, we pass a current through the plasma, in the same way you can pass a current through a copper wire - and everybody knows, if you pass a current through a copper wire, it heats up. So, the plasma does the same thing. So, that's the first way we heat the plasma. Well, that's actually not enough by itself to get the plasma up to 150 million degrees temperatures that we need. So, we have a few extra methods. One of them is called radio frequency heating and that's basically analogous to a microwave oven, the same way that your microwave oven excites water molecules to kind of heat up your food. Radio frequency heating fires radio waves into the plasma to then heat up the plasma, excite the plasma particles. And the final heating method is called neutral beam heating and that's analogous to a cappuccino maker when you have a jet of steam that you shoot into a cup of milk to warm up the milk. We basically send a jet of neutral particles into the Tokamak to heat up the plasma because the energy is transferred from those energetic fast particles to the particles in the plasma. Dave - So, when JET is actually fired up, what actually happens? Sarah - Every time we run an experiment on JET, that's called a plasma pulse and that's basically because we have sort of 60 seconds where we've got a plasma inside the machine and the machine is operating properly and we kind of get all our data from the experiments that we do. And then we finish off the pulse and we do another one 20 minutes later. So, we do that throughout the day and then all the data from those experiments is what we use to kind of progress fusion research further. Dave - So, they're about to fire off JET and create a plasma several hundred million degrees centigrade in the centre of the Tokamak next door. They're counting down. So there's a series of radio screens in front of us. So, you can just see light being created. I'm guessing that's from the plasma itself that it's getting very, very hot at the bottom and I'm not sure if there's a nice plasma going on in there? Sarah - That look like a nice plasma to me. Dave - So, this whole process is incredibly difficult and incredibly expensive. Why are we bothering? Sarah - It would produce so much energy, but also in a clean and reliable way that it really would be the energy source of the future. Ginny - So, when you say it's confining itself, can you explain to me what that means because I'm finding it quite difficult to picture? Kate - Okay, so let me explain it in terms of laser fusion. What happens when we do laser inertial fusion is, you fire several hundred of the world's most powerful lasers on a very tiny ball-bearing sized pellet of deuterium and tritium. The outer layer actually heats up and expands very rapidly. We all know Newton's third law, every reaction has an equal and opposite reaction, so, it's kind of like gas coming out the back of a balloon., this balloon has to fly forward. So, if the outer layer is heating up really rapidly, the rest of the fuel has to compress and stagnate and it just basically confines itself. Ginny - So, you're kind of using its own expansion to squeeze it together. Kate - That's exactly it, yes. Ginny - Now, you mentioned deuterium and tritium. We've been talking about hydrogen as the source of fuel, so can you tell me a bit about why you use them instead of normal hydrogen and what exactly they are? Kate - Well actually, magnetic confinement fusion also uses deuterium and tritium. They're basically types of hydrogen. So, hydrogen is basically a proton with an electron going around it. Deuterium has a neutron in that nucleus too and tritium has two neutrons in that nucleus. So, that's essentially just two different isotopes of hydrogen. Ginny - Why are they better than using the standard isotope? Kate - So, the sun actually turns hydrogen into helium. It's one of the most energetically favourable ways of getting fusion because you don't have to work as hard as you would if you were using hydrogen basically. Ginny - Does yours differ from the Tokamak approach? You're using it to confine itself, but what else is different? Kate - So, the whole approach is different in that, with the Tokamak, what you're trying to do is confine a certain density for - you really want to do it indefinitely. Whereas in a laser driven fusion, what you care about is getting it to a very high density in a certain radius and that whole process only lasts a few tens of nanoseconds. And then the second thing that's different obviously is then, you would need to do this multiple times a second in order to make that work. So, it's sort of just a completely different approach. Ginny - Why are there so many different approaches to nuclear fusion? Can we not calculate which will be the best way of doing it? Kate - There's a myriad of ways in which you could do it, but it's about the ways in which are the most energetically favourable let's say, where you're going to get the most bang for your buck. It would be great if we could calculate it, but the fact is, we don't know all the physics yet. So, I think that's the bottom line until we do know that, because it's still very much a science project. We're not at that stage where it's just engineering problems. Ginny - And how close are you to actually getting net energy out of the reactions? Kate - So, we're at a very exciting time at the moment. 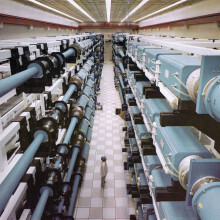 There's one facility in the world currently called the National Ignition Facility (NIF) that's based at the Lawrence Livermore National Laboratory and that's the only facility that has the potential to make breakeven in laser fusion. At the moment, they've got to the stage where the energy that's been absorbed by the fuel is less than the energy they're getting out via neutrons which is a really important stage, but it's not breakeven because lasers are incredibly inefficient. They're about 1% efficient. So, we're quite far away from the stage where the net energy output of the fuel is actually greater than taking into account all the inefficiencies of the lasers as well. So, that's a really big step. Should they reach breakeven and gain off a few, that's a really excellent stage because that shows that the method works. However, in order to get a commercial power plant out of that, you need gains of between 30 and 100. So, we need to do something extra in order to get to those gains. We also need to develop new lasers that are much more efficient than the lasers we have. They don't exist yet. And over maybe the next 6 or 7 years, there's a really concerted effort to build these new lasers as well. Dave - So, it strikes me that this is really quite a complicated exercise, sort of firing - I guess, it got to be incredibly precisely orientated all these lasers and if you try and do this again and again, and again in essentially industrial process, how practical is it likely to be? Kate - It's kind of like throwing a tennis ball up and then trying to hit it with 192 other tennis ball. That technology is not particularly difficult really. More to the point is, how do you inject an ultra cold pellet balistically without it heating up. That's something we need to address. And also these new lasers as well. So actually, out of all of the challenges, I think that's the least difficult one. Ginny - So, if you have to give me a best guess, how long do you think it'll be before we have nuclear fusion energy powering our homes? Kate - I wouldn't want to put my finger in the air, but I mean, when you think about magnetic confinement fusion, you've got 2040 for a demo reactor. And again, for inertial fusion, we've got to actually prove that it works and then we've got to show that we can get these high gains. So, whatever comes after NIF, it's still going to be a science project for all intents and purposes. So, we're decades away. Ginny - So, probably not the answer to our current energy needs right now then, unfortunately. Kate - Unfortunately, not but it's got to be part of a patchwork of energy generating mechanisms that don't produce carbon. Essentially, that's what we're aiming for. So, it's the long term feature where energy does not produce carbon. Michel - We are doing something called magnetised target fusion. Have you heard before in the show, fusion is usually done of two way. There's the Tokamak and then there's the inertial confinement fusion. In the Tokamak, the plasma is very, very thin, not very dense at all. There's a magnetic field that keeps it from preventing to get the heat to escape. In the inertial confinement fusion, they compress the plasma and there's no magnetic field. 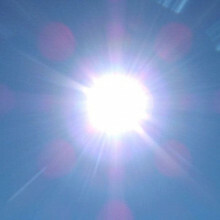 So, the heat can escape very fast, but because they compress it very fast, they can try to beat that. we want to be somewhere in the middle. We want to be an intermediate amount of density. And we want the magnetic field. So, we produce the plasma with some magnetic field and we compress it. We can compress it slower than the laser guy because we have magnetic field, so it's going to be much easier to compress it. And we don't need so much confinement as the Tokamak guy because we don't want the plasma to exist for very, very long. We want to compress it relatively fast. Dave - So, what is the machine you're building doing? What does it look like? Michel - So first, we need to produce a plasma with a magnetic field and for that, we use something called a spheromak generator generator - that's a nice name. This uses a couple of capacitors and we make a huge electric discharge into a gas and that produces the plasma. In that plasma, there's electrical current which make the magnetic field. We don't use external magnet. All the magnetic field that hold the plasma together is produced by the current that's in the plasma itself and that's called a spheromak. So, we put that in the middle of a large sphere which is fill of liquid metal. The liquid metal is spinning and because it's spinning, it opens holes in the centre - a bit like in your toilet or something. We inject the plasma inside the hole and then we run pneumatic piston all around the machine and that compresses the liquid metal and it compresses the plasma, and the plasma will heat up to thermonuclear condition. It will emit neutrons. The neutron will be absorbed by the liquid metal and it will make it hotter and then we will pump that out, make a heat exchange to make some steam, and the steam will run the turbine to make the electricity. Dave - So, that all sounds very nice and simple in theory. How close are you getting it to work? Michel - Okay. So right now, what we're doing is we're making the plasma successfully - the initial plasma before the compression. So, it took us a few years to achieve that, but now, we can produce that. Today, we're making some compression experiment. You see, when we compress the plasma, if it does indeed goes to a thermonuclear condition. Right now, we have some little issues with that, it is not quite working. The plasma goes unstable and cool off. So hopefully, we will manage to fix this problem in the next couple of years or let's say in 2 years. And those are one of single compression experiments, it is not done with a power plant system. After those 2 years, we hope to build a prototype plant that will run at a relatively low repetition rate. Like in those pulse systems, you have to show that every second or so to make some energy, this machine would be slower than that and that would probably take about 3 years. If that's successful then we will build a real power plant, something that make electricity on the grid, and that would take another 5 years after that. so, if you add 2 plus 3, plus 5, we're thinking about putting electricity on the grid in gain of 10 years. Dave - Nuclear fusion always seems to be more difficult than people think it's going to be. Are you expecting that? Michel - Yes. Well, most people think it is very difficult. The thing is that the way we are trying to achieve fusion, that General Fusion is quite different than the normal Tokamak and laser. So, the Tokamak and laser, they've been active for many years. They understand the problem and they know it's difficult and they will probably succeed, but it's a difficult task. Here, we have something new. Now, it could be worst, it could be better, at this point, we don't really know because this is kind of new. But I'm hoping that it'll be easier than the two different approaches that are usually used and therefore, we can succeed with less trouble. 51:51 - Could we use solar panels in space? John C. Mankins - In space near Earth, sunlight has roughly 30% more energy than the sunlight we see, because of weather and haze in the atmosphere. When one adds the impact of the day/night cycle and the natural changes between summer and winter, in some locations, the difference between Earth-based and space-based solar power grows to a factor of 20 or more. It is possible that in the future, space solar power could deliver hundreds of thousands of megawatts - enough to power tens of millions of homes around the world. First, just as on earth, sunlight in space will be converted into electricity by solar rays, that in turn power used electronic devices that produce radio waves in what is known as the "microwave" region - a wavelength of about one to ten centimeters. This microwave energy is then transmitted from many thousands of small antennas, very much like thousands of musicians all playing the same note on their instruments. By orchestrating the individual transmitters - like an orchestra conductor with his baton guiding many musicians a coherent beam can be formed, and the converted solar energy directed to a desired location on Earth. Radio waves of this size have virtually no interaction with our atmosphere, and very little with our weather; in other words, the atmosphere is almost invisible to them. As a result, more than 90 percent of the radio wave energy from space will reach Earth in a low intensity, but precisely pointed transmission. Once there, the microwave energy is converted back into electricity by a large but simple receiver known as a rectifying antenna, or "rectenna" which will look a lot like mesh fencing, just like one of the goals in International football, but laid out flat, like a semi-transparent ceiling. And that's it - that's how solar energy collected in space can be transmitted efficiently and safely back to Earth for our benefit. 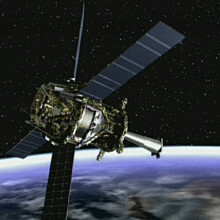 Next Can we use solar panels in space?